A capsule wardrobe has been a big part of my life for the last several years, and I think there are many misconceptions and misunderstandings around what they are, why someone would want to reduce their closet size, and how to get started. I hope to answer all of these questions today! In this segment, I want to share memorable moments from my travels around the world. I have been super lucky to be able to see many places, and one of my goals is to inspire people to go and see new places. Each time I share this segment, I will share a short memory of a moment that I loved. This one is from Kauai, where Dave and I celebrated our 11th wedding anniversary. We had just finished hiking the Kalalau Trail on the Na Pali Coast. We swam in the waterfall, enjoyed the views, met amazing people all along the hike. On the way down, we were tired, sweaty, and running out of water. It was a beautiful day, with the sun shining down. It was such a magical moment. I can remember every detail: the sparkling sunshine, the red mud of the street, my tired muscles, sweaty skin, walking next to the love of my life, sharing juice and realizing we were exactly where we wanted to be at that moment. In that place, with each other. If you have ever packed for vacation, you have in some small way created a capsule wardrobe. You chose a few things that would mix and match well together, and you packed it all into a suitcase for the trip. This is an example of a capsule wardrobe. What is a “capsule”? Something encapsulated is something that is contained in a small, enclosed space. Like a capsule of medication. A “Capsule Wardrobe”, then, is a small, intentional, contained wardrobe. You make some deliberate choices about which essential clothing items you want to use for the next season, then close it up for a certain amount of time before buying more and adding to it. The idea of a capsule wardrobe emerged in London in the 1970’s when Susie Faux, owner of the boutique “Wardrobe” introduced a collection of essential clothing items that wouldn’t go out of style and could me mixed and matched. Then, in 1985, Donna Karan introduced her Seven Easy Pieces fashion collection. In this landmark collection, the models began in black tights and bodysuits, then layered the other seven pieces of the collection in different combinations to make up the entire show. Right now, capsule wardrobes are trending. Minimalism as a philosophy is trending. Because of the trendiness, there are so many different people sharing about their own capsule wardrobes, and they all vary a bit. Some fashion bloggers buy a whole seasonal “capsule” of the latest clothing, mix and match it for a couple months, then buy a whole other “capsule” for the following season. This isn’t the type of capsule I use, and I don’t think this type necessarily follows with the original principles of a capsule wardrobe containing essential pieces. Another example is a fun mini-capsule wardrobe challenge that happens on Instagram called the 10×10 challenge. Participants are invited to choose 10 pieces including shoes, bottoms, tops, and dresses to mix and match for 10 days. I have done this one a few times and had a blast being creative within the constraints of a small wardrobe. Here is my fall mini-capsule from a couple years ago. Why Is A Capsule Wardrobe A Good Idea? A capsule wardrobe eliminates the need to think about what you wear. You put some thought and intention into your closet, and then you don’t think about it! As soon as you have it all assembled, you close it up and don’t worry about it. When you create a capsule wardrobe, you have chosen your clothing and shoes, made sure everything fits well and looks good, and then you don’t have to make those same choices every morning as you try to get dressed. I love eliminating unnecessary decision making form my life. When I started using a capsule wardrobe, I realize I had already been doing it anyway, just without getting rid of the other clothes in my closet. I was automatically reaching for the same clothes over and over again. I always pulled on those favorite jeans, and that great, cozy tee shirt. I was avoiding things that I didn’t like or that didn’t fit well. When I discovered the idea of a capsule wardrobe, I had a one-year-old baby and I was trying to dress this changing body. Most of my clothes didn’t fit well, and the clothes I had worn before my pregnancy I didn’t love. I stumbled across this idea to reduce to an essential wardrobe of favorites. The blogger that I originally followed was buying new things every season and mixing and matching. Although I loved the idea of creating a limited wardrobe that worked well, I didn’t have the mental or financial preparation to build an entire new wardrobe. Choose 30-40 VERY FAVORITE pieces that mix and match well together, including shoes, bottoms, tops, and dresses. Intentionally reduce the other categories of clothes to favorites including, pajamas, exercise clothing, jackets and accessories. Evaluate if there are any holes in the wardrobe (for example, a pair of blue jeans, or a basic layering tee) and add it as one of my 30-40 pieces. Don’t shop or add anything to the capsule wardrobe until the next season, or otherwise decided upon time. Here is a PDF that you can print out and use as you go through this process in your own closet! Do I feel like myself in it? Only keep the things that you can answer YES to ALL four of these questions! You can love a piece of clothing and not love it for yourself. You can think it is beautiful, and it can fit you well, but if it isn’t your style, you shouldn’t make yourself to wear it. If you end up with a giant pile of clothing to donate and you feel bad about it, consider that those items have served their purpose. Remember that those items added value to your life for whatever time you owned them, but it is okay to let them flow out of your life if they are not serving you RIGHT NOW. If you live somewhere with seasons, you will have some seasonal favorites. Once you pare down the rest of your closet, you will likely have the SPACE in your closet to keep seasonal items in a different section of the same closet. If you simply don’t have room, tuck the seasonal clothing into a storage box and put it in the garage, a storage room, or under your bed. One thing I found to be super interesting as I got started with my own capsule wardrobe, was how season-less it was. I was able to build a collection of essentials and favorites and use it– only switching in some shorts and out some sweaters– for the entire year. A great pair of jeans and a layering tee is the perfect place to begin with an everyday look that can be worn year-round. For the most part, I keep the same capsule wardrobe for the entire year. I usually buy one or two pairs of shorts each summer and wear them out, then buy another pair the following year. This year my shorts didn’t get as worn out as normal, so I will be able to pull them out again next summer. A season-less wardrobe can be made seasonal by layers. Add a vest, sweater or jacket to something to make it work in cooler weather. In the middle of winter a sweater and a jacket plus a scarf makes a basic tee very winter-friendly. I get questions often about using a capsule wardrobe. I have been working with some form of a capsule wardrobe for 4 years, and have a good feel for different scenarios that arise. I hope that this section helps shed additional light on things you may be wondering about. Question: Do you do more laundry? Answer: No, I still only wear one outfit per day. Sometimes exercise clothes as well. So while I am washing the same clothes over and over, I still only do laundry once per week. Question: How much do you spend on a collection? 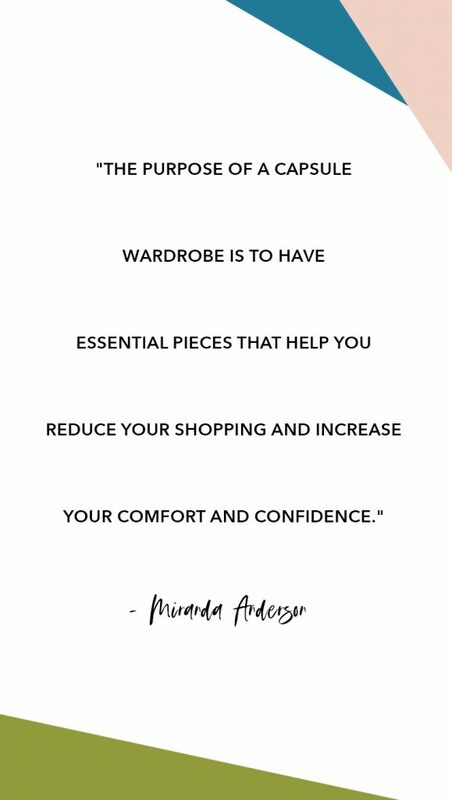 Answer: I don’t think that buying a full new wardrobe each season really follows the principals of having an essential wardrobe to help reduce shopping and increase comfort and confidence. So, I don’t have a budget for each season. If you think about a capsule being something that I close up and don’t add to for months at a time. I generally shop for a couple essential basics around the seasonal transitions. If I have some needs, I will find things to add. I also use those moments to consider my closet again and decided if I need to get rid of anything. I do this about every six months, and I am not shopping at all in between. Question: How many pieces should a Capsule Wardrobe have? Answer: This totally depends on you and your lifestyle. 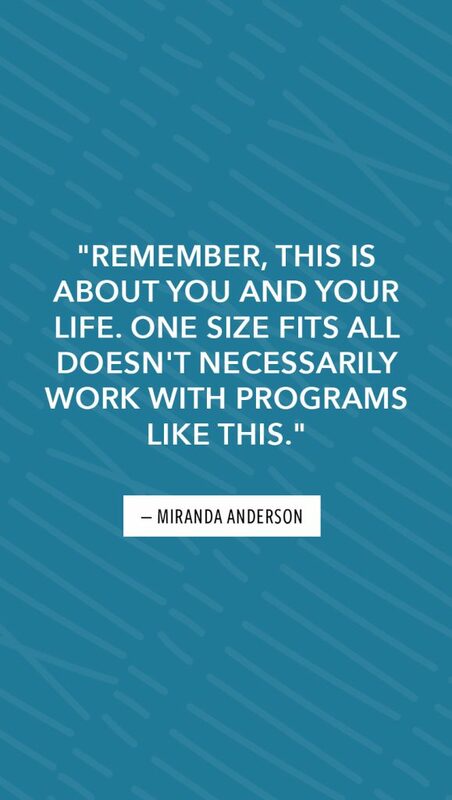 One size doesn’t necessarily fit all. Consider the things you do on a regular basis. Make sure you have clothes that you love for all of those activities. I think around 40 pieces is a great ballpark to get started and see what happens! I follow the guidelines and the principals, but I am not strict with any rules. Yours may look really different! If you have 2 separate wardrobes for work and play, I would consider the percentage of time spent in each area and use that as a guideline. Question: Where do you shop for high quality basics? Answer: I mostly shop at Madewell, because I like the style and quality, and I love to reduce my options. I love so many of their basic tees, button ups, jeans, and layering pieces. I prefer to stick to things I know and love, and I love Madewell! I wore my first pair of high rise Madewell denim for 6 years! Then I recycled them for $25 off in the store and bought the exact same pair! I also shop occasionally at H&M, and sometimes at Emerson Frye. In addition, I sew clothing and love sewing for myself. I consider what things I can make that I will love to include in my wardrobe. Question: Do you use a capsule wardrobe for your kids? Answer: YES!! I love shopping in capsule wardrobes for my kids. Kids are growing and so generally you’re buying new clothes at least once a year when they grow into the new size. What that looks like for us is shopping two times a year. I shop in the fall/winter for their cold weather clothes and then I shop again in the early spring for their spring/summer clothes. In between that we really don’t buy anything for them. I get a handful of great basics that they can mix and match and I don’t worry about it in between. I wrote a post about my kids capsule wardrobes a couple years ago. Read about it here. Question:Do you keep some items in rotation all the time? Answer: YES! There are some things that just stay in my wardrobe all the time until I literally wear through them all the way. 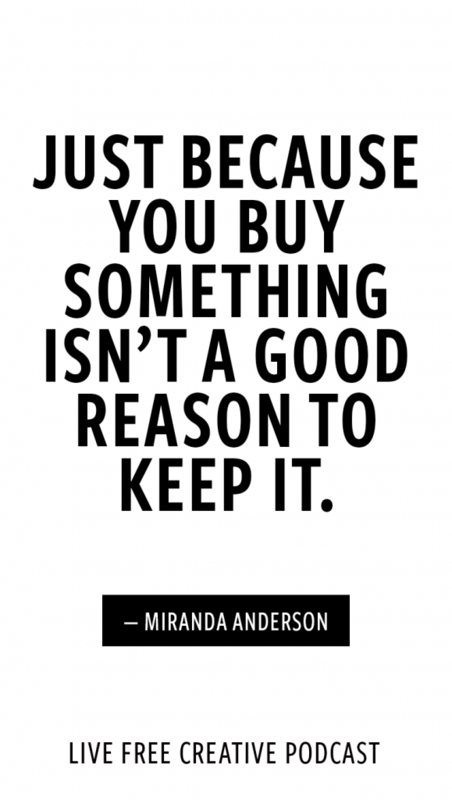 It’s really easy for me to shop for replacement items and for things that I know that I need now that I’ve established and gotten really comfortable with what I love and what fits my lifestyle and my personality. Question: What do you do about unexpected special occasions? Answer: There are lots of ways to wear new clothes that don’t involve buying them and keeping them forever in your closet. You can borrow clothes from friends and that also builds this community that you’re sharing something with someone. You can rent clothes for special occasions. There are lots of services that allow you to do things like that so you don’t have to go buy something new that you’re going to wear one time. If you’re going to wear something only one time, the better thing is probably to just borrow it or rent it. Maternity clothes are kind of this whole other thing. In between pregnancy, the whole maternity and postpartum wardrobe can be boxed up and stored. If you’re planning on having another child, I would absolutely capsulize that maternity wardrobe. When you know that you’re going to need maternity clothes, choose a handful of maternity basics that you absolutely love and then stick with those mix and match them! Question: Do you get bored? Answer: I don’t, but that’s because the capsule wardrobe is right for me! Maybe it’s not right for you. If you try it out and you feel like you are super bored or you get really sick of the things that you chose. I don’t think that a capsule wardrobe is for everyone. I don’t think that um, minimal lifestyle is necessarily for everyone. If you have 5 tops and 5 bottoms, you multiply. You can make 25 outfits. Right? So then add in shoes, maybe you have 10 pairs of shoes, then you can make 250 outfits. Add something like a vest that doubles it. So then you have 500 outfits just with the same things. So with the clothing that I have right now– 8bottoms, 20 tops, 2 vests, and 5 sweaters. I can make 1600 outfits!! And that doesn’t even include shoes. That’s not to say that I would like all of those outfits because I think some things mixed and match better than others. But I have done the 10 by 10 challenge a couple times. In that the 10 by 10 challenge you wear the same 10 pieces of clothing for 10 days. I feel like every single day I have a fully different intentional outfit with just 10 pieces. I feel like it is really creative. It’s using this limited number of things in lots of different ways. You are able to see how fun it is to play around with things and maybe wear them a little differently than you normally would. Question: Do you feel like you’re giving up a lot of options or favorites by reducing your wardrobe? Answer: No. I ONLY keep my favorites! I give up nothing except for maybe rotating trendy things that I would be wasting my time, money and energy on any way. Creating and living with a capsule wardrobe for me has been choosing to only keep my favorites and not feel bad about getting rid of everything else. I don’t feel attached to things that I don’t love, I don’t feel attached to things that don’t look good on me. I don’t feel sad that I paid for that thing and I don’t really like it anymore because I feel like it already served its purpose and it’s totally okay for me to move on. Treat: Chocolate Chip, Peanut Butter Chip, Oatmeal, Sea Salt Cookies. This has been my very favorite treat lately, and I can’t stop making and eating them! Find the whole recipe here. AND the best part is I rarely bake them! I simply pop the dough balls into the freezer, then pull them out one at a time and microwave them into a pazookie. Add a scoop of ice cream and consider your life changed. More about microwaving cookie dough right here. I heard about this podcast from Young House Love, and it is one of our favorites! It’s this really, really funny show for kids. They take kids stories and then remix then and turn them into songs or act them out. It’s hilarious and I love that it’s made for kids but made also knowing that adults will be listening, so there’s some really witty lines and some humor that’s kind of over the kids heads. That just makes me laugh and the songs are hilarious and we just love it. Here is a whole blog post about my favorite podcasts for kids. This is one of my ALL. TIME. FAVORITE. BOOKS! It is the art of choosing the things that you want to care about and getting rid of all the rest. That is what a capsule wardrobe is about and that’s what I feel like minimalism is about. And that’s what choosing the life that you love is about saying “yes” to the things that you want to be doing, where you can put your highest amount of energy and do the most good and that absolutely saying “no” to everything else. 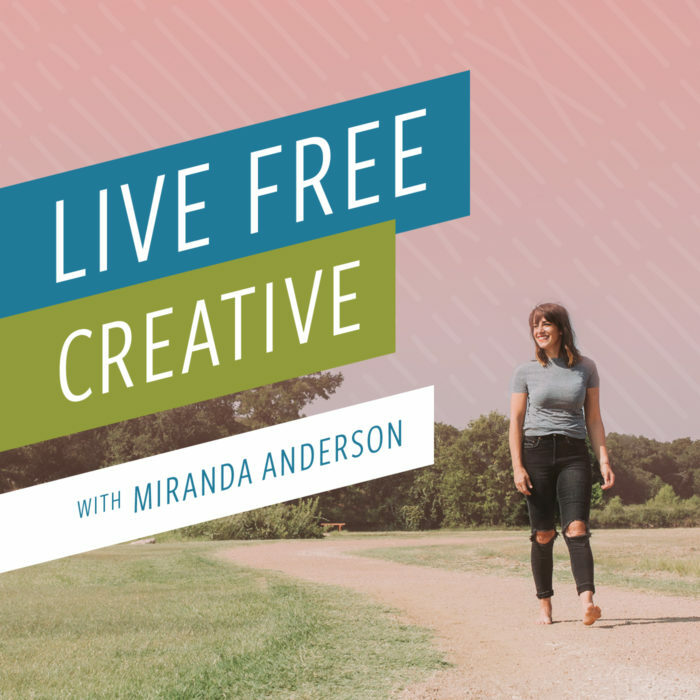 As I’m thinking about these episodes and preparing to share with you, my goal is that you will be inspired to do small things in your life to help live more freely and more creatively and more adventurously. And I’m so curious if any of you try out a capsule wardrobe. I want to hear how you do it and what you think! It has been amazing for me and I hope it will be for you too.